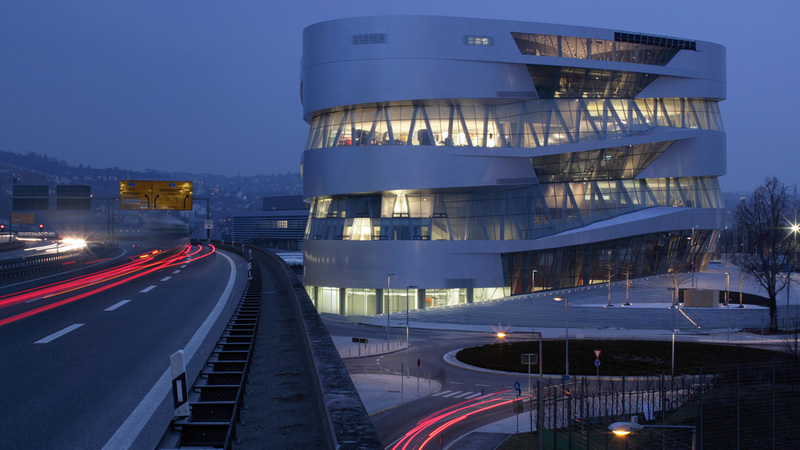 The Mercedes-Benz Museum is celebrating 10 years since first opening its gates and the Stuttgart-based company is coming up with ideas – both serious and hilarious – to entertain fans and convince them to visit. So anybody who is… hungry for history is invited. Hungry for history. This is how the new promotional video made in Stuttgart is called. The video starts with black-and-white images from decades ago. And suddenly, the unconventional structure of the building comes to life in the shape of a monster. The windows become sharp teeth and the 9-floor construction chases after iconic Mercedes-Benz cars meaning to devour them. Luckily, he swallows them entirely, without putting a single scratch on the precious paintwork. So now we know why cars are running along racetracks. The museum-monster follows them close behind. When he is not hungry anymore, he goes back to its place, wraps his tail (or ground floor) around his body and quietly sleeps in the shape of the museum facade. Until a new model comes along. Hungry for History” is the 3D animation created by of two young talented artists, who graduated from the Film Academy in Ludwigsburg in 2014. Marco Erbrich and Florian Greth from Flyvision Media, brought the classic monster films into the present cinematography trend, building a gigantic shiny silver creature with a huge appetite for classic Mercedes-Benz branded vehicles. Since its opening, on May 19th, 2006, the venue has attracted tourists from all over the world like a magnet. 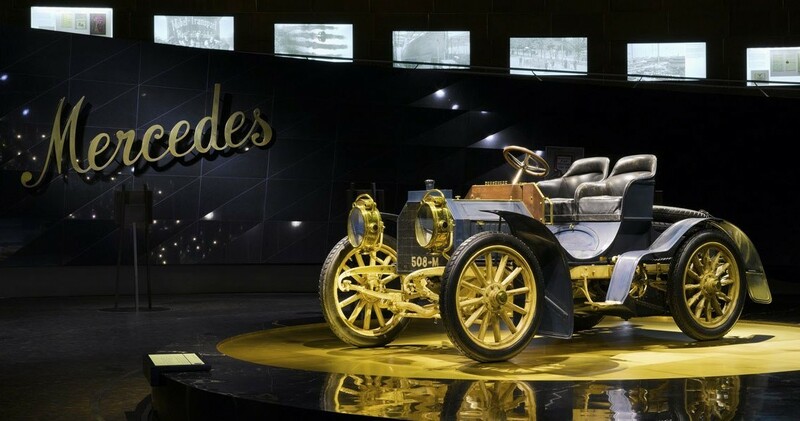 So far, over 7 million visitors from more than 160 countries have crossed the threshold of the museum. The AMG Driving Academy – Set the racetrack on fire!